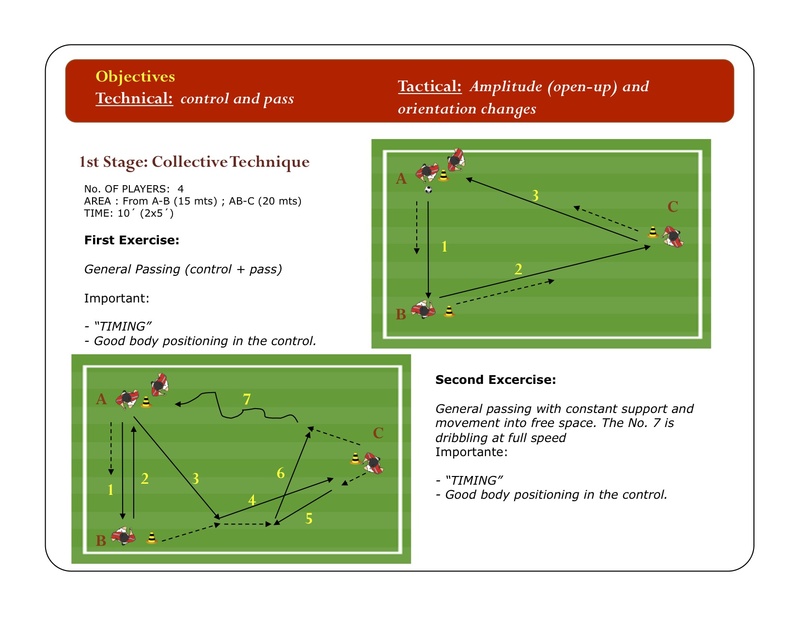 This multi-functional exercise works on a combination of passing patterns which develops into an attack versus defense scenario. 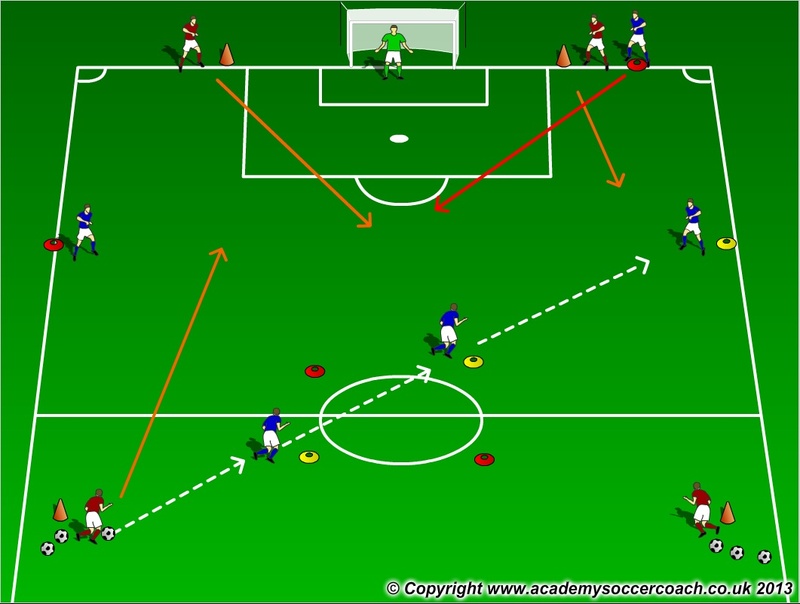 Speed of play is a huge factor both in and out of possession, so this should drive the tempo to be as high as possible. Attacking pattern play does not challenge players to work under pressure so too often becomes unrealistic to the demands of the game. If you want your team to develop attacking habits, you must train under challenging conditions, which this should provide. 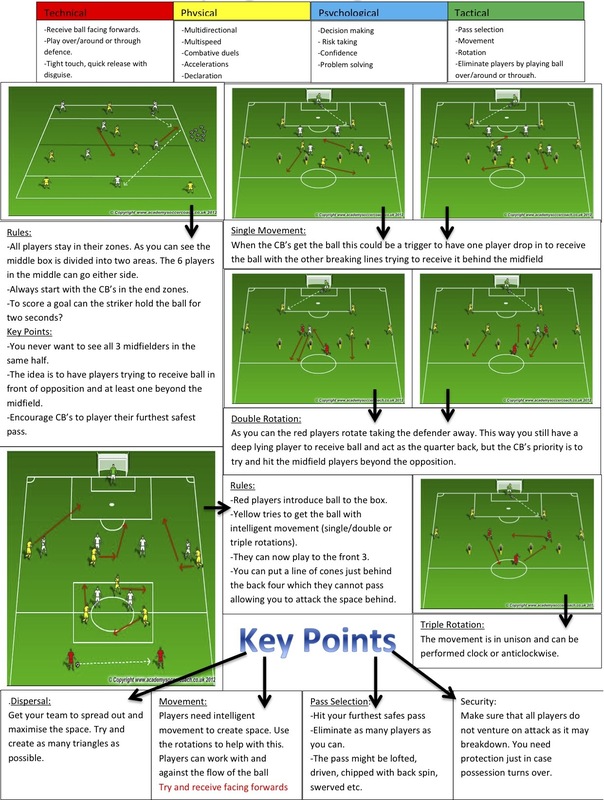 Physical – Attacking team is challenged to get into the final 3rd at speed, defending team must make recovery runs and organize quickly. Fitness and fatigue will become key factors as the exercise progresses. 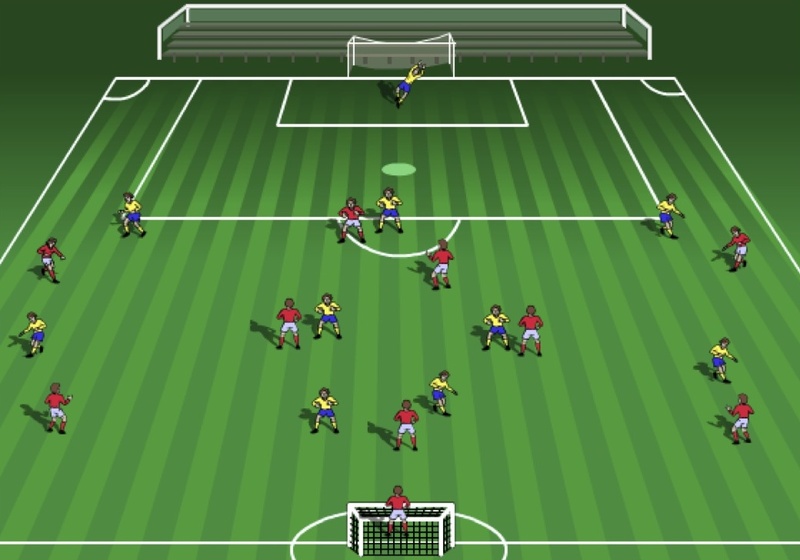 Technical – Players have to move the ball at speed unopposed for the first part and then play against opposition for the second part so technique under pressure is always a key component. 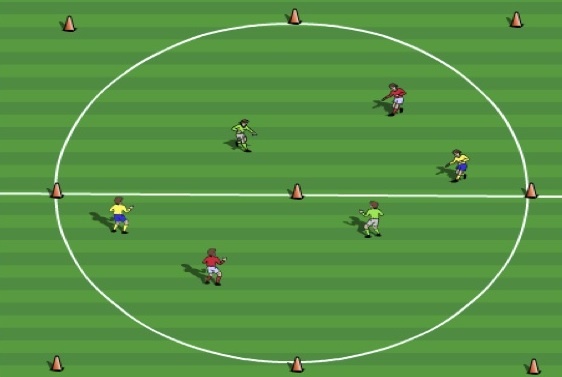 Tactical – Each player on the field is challenged to perform tasks specific to their position and the exercise mirrors a tactical scenarios that appear in the game. 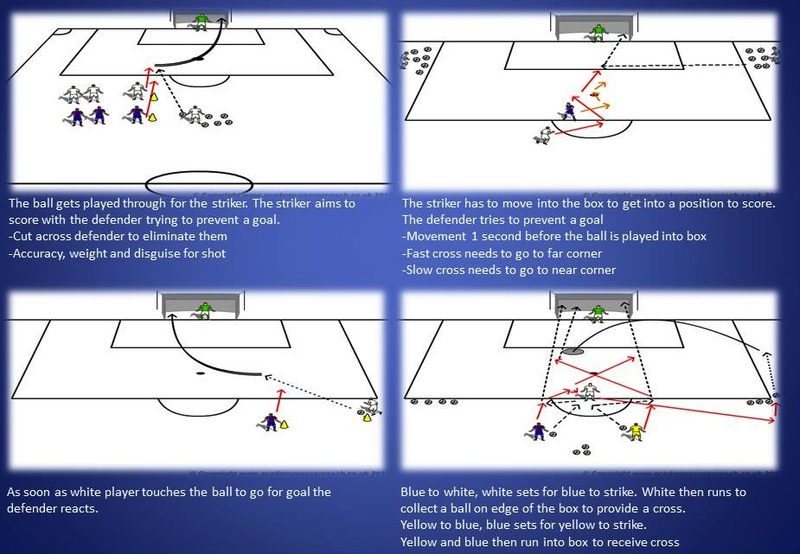 Mental – There are a number of decision making variables present for both attacking and defending players. I have created a FREE, and easy to use Session and Match Planner. 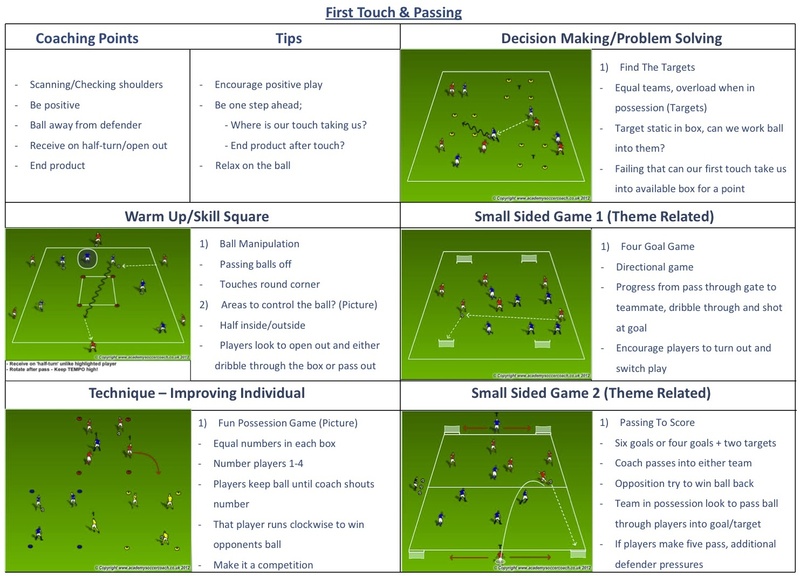 Not everyone has the a tablet with the new coaching software on it so i created a basic Session Planner. 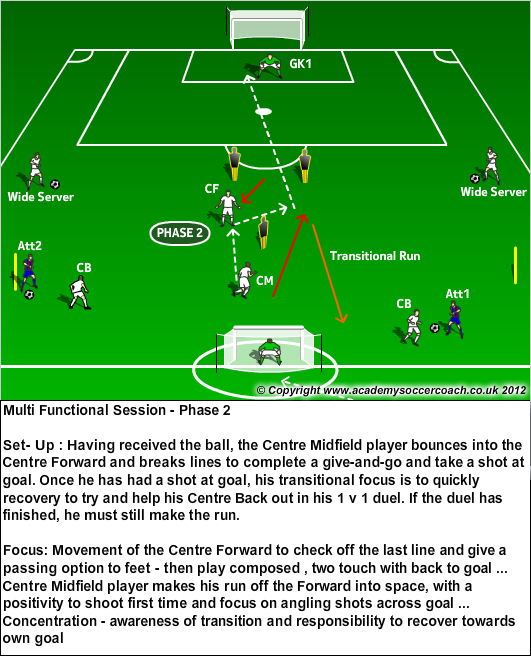 It is easy to use with different phases as you build your session.